We’re just two months into 2019 and already the UK has seen a huge variety of weather conditions, as the mild winter of 2018 has quickly given way to more rainy days, colder temperatures, ice and snow. At the same time, we are rapidly heading towards spring and summer, and the prospect of heatwaves similar to those seen in mid-2018. The Centre for Economics and Business Research reports that some areas saw dry spells lasting 50 days or longer, with temperatures climbing above average as early as April. As a result, grass was parched by prolonged weather conditions described by CEBR as “conducive to barbecuing”. For property owners, extreme weather patterns can be especially problematic, as in winter you need to be sure your drains can handle excess rainwater, while in summer your lawns, flowerbeds and shrubberies can suffer. Extreme heatwaves can cause even more problems – leading to cracked earth on fields and cracked or melted tarmac on car parks and pavements. Of course there is also the everyday storm damage that can occur due to leaks, flooding and strong winds, along with isolated incidents like lightning strikes or roof cave-ins due to heavy snow. 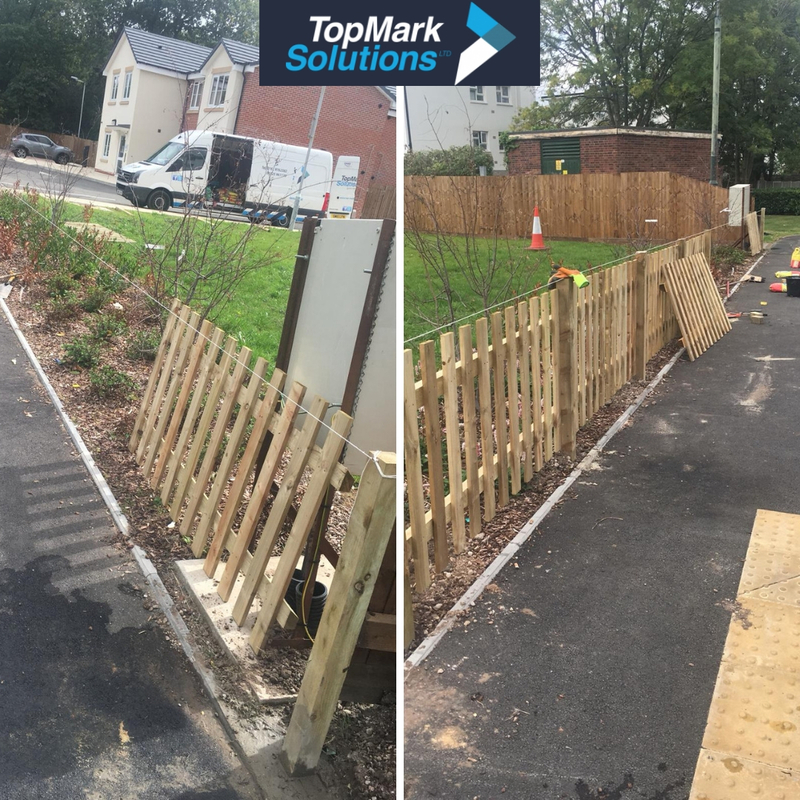 TopMark Solutions offer a 365-day reactive maintenance service with expert capabilities in carpentry, electricals, painting and decorating, plus other general maintenance disciplines. Our team has all of the necessary personal protective equipment (PPE) to carry out work in difficult conditions and on parts of your premises that may not be completely stable following severe weather damage. We aim to put things right quickly and safely, whether that means removing the immediate hazard while you arrange further repair work, or putting things back to as good or better than their previous state. Prevention is better than cure, and we can help to equip your premises to cope better with extreme weather conditions, starting with an overhaul of your gutters and drains to handle the excess rainwater of both winter and summer storms. In summer, our ground maintenance teams can tend to shrubberies and flowerbeds, as well as lawns and sports fields, helping to keep grass in good health for as long as possible during extended dry spells. We can’t always predict the weather, but we can plan for the different eventualities, and respond to weather events when they occur, to keep your premises in good condition all year round.